Where's the Egg in Exactly? EggMania - Where's the Egg in Exactly? 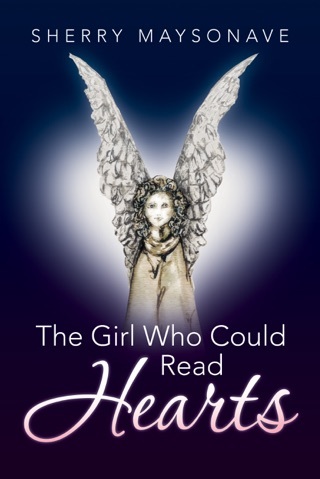 Awarded "Best Children's Illustrated eBook" IPPY 2013 Award; Mom's Choice Award 2013 "Excellence Seal of Approval"; Benjamin Franklin Digital Book Innovation Award (IBPA); kidSAFE Certified. 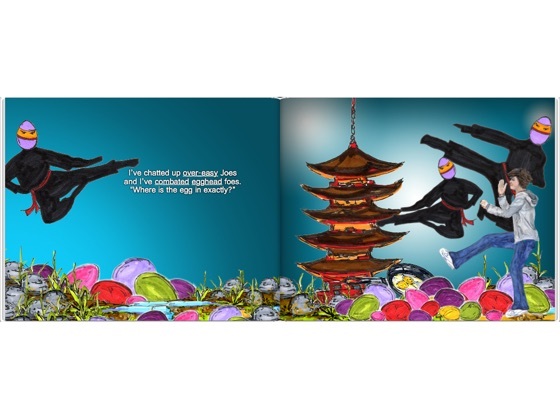 EggMania is a multi-sensory, rhyming tale of adventure loaded with brainy enrichment and an essential life lesson. Acknowledging that kids learn through play, EggMania was written to educate and entertain children growing up in today’s digital world. EggMania is a versatile learning tool in the areas of language development, creative writing, art, science, and speech. 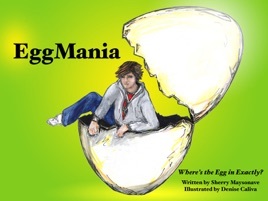 EggMania features a boy and his insatiable quest for knowledge. After hearing mispronunciations of the word "exactly" as "eggzactly", even by educated people, Gregg Kregg sets out to find the "Egg". 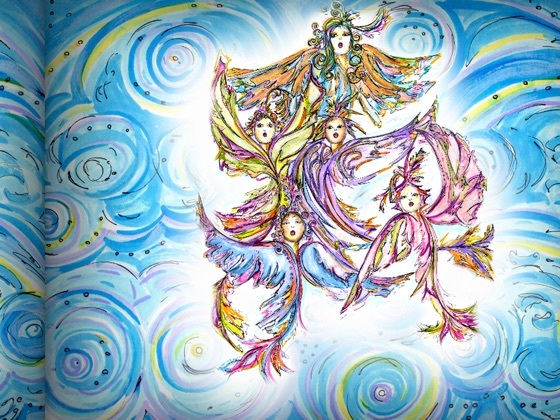 He searches the world, explores the sky, and meets unusual creatures, such as a fox, dolphins, and a choir of feathered angel fairies named The Gaelles, who challenge and guide him. The Gaelles introduce him to the Queen Mother of all Eggs - The Great Mum Henny. She shocks Gregg with her "egg" versus "x" theories and further surprises him with the uncovering of the true-blue wish of his heart. The Great Mum helps Gregg learn the importance of speaking correctly while underscoring an empowering life lesson: even if he make mistakes, he can still be extraordinary. Please be patient when downloading EggMania, including the Sample with video trailer. This is a large, 190 page, media-rich eBook. 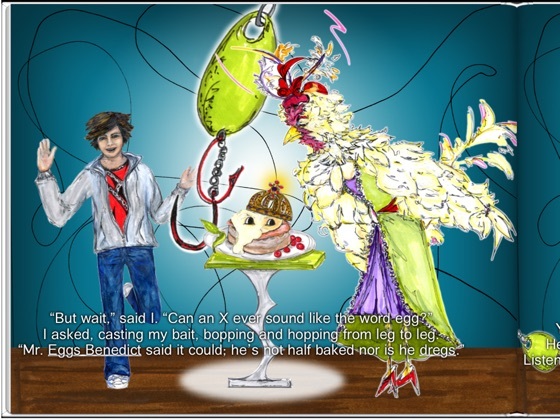 EggMania features fantastical original art and expansive language development - phonetic word plays, lexical humor, and advanced vocabulary. 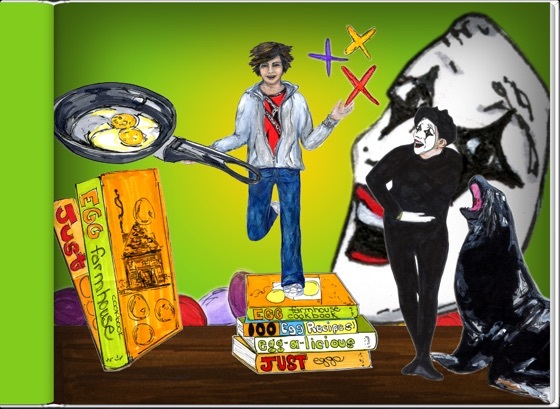 EggMania is jam-packed with with fun facts covering a wide array of subjects, including science, social studies, nonverbal communication, and the arts. EggMania utilizes the three primary learning modalities (visual, audio, and kinesthetic) to enhance the potential for kids' long-term learning. Let's not forget Albert Einstein who said "If you want your children to be intelligent, read them fairytales. If you want them to be more intelligent, read them more fairytales", and, Henry David Thoreau who said "The world is but a canvas to our imagination". 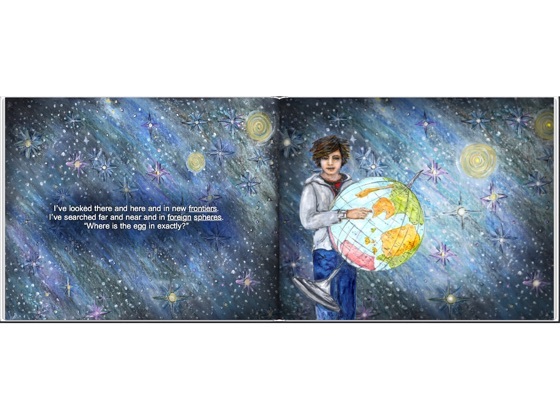 This Ebook is the most innovative children's book I have seen in a long time. There is so much interactivity within the pages with an expansive vocabulary that I even learned a few things from! The illustrations are really beautiful and the sound effects add a lot to the overall experience. This is a great value for the endless hours of entertainment and learning that it provides. I am recommending this book to all of my friends with kids. Can't wait to see what they come out with next! I'm an adult and love it! Folks, this book is phenomenal. The illustrations...the writing...the concept! I bought this for my niece to entertain her on her first airplane flight. She fell asleep and I couldn't put it down. When does the next one come out??? Incredible job to all those involved. Sherry Maysonave is a Genius and Denise Caliva is a Master. I can't say enough about this book! My kids spend hours reading through the fun facts and the interactive play make it fun while teaching good values!